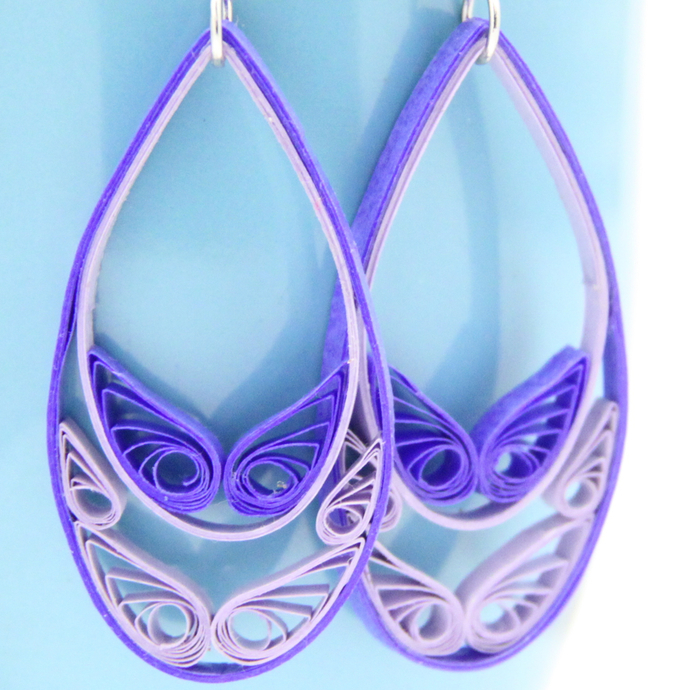 These fabulous purple and lavender teardrop earrings are eco friendly and handcrafted by the art of paper quilling. They are hand varnished in several layers of non toxic sealer for a sturdy, water resistant finish. 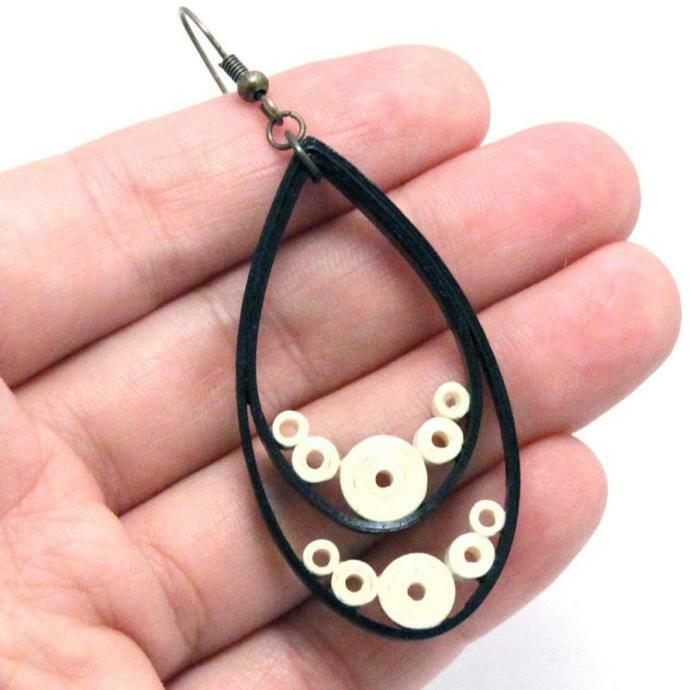 Note: This listing is for a MADE TO ORDER pair of earrings, as the ones in the photos have been sold. Please allow a few extra days for me to make your special pair.